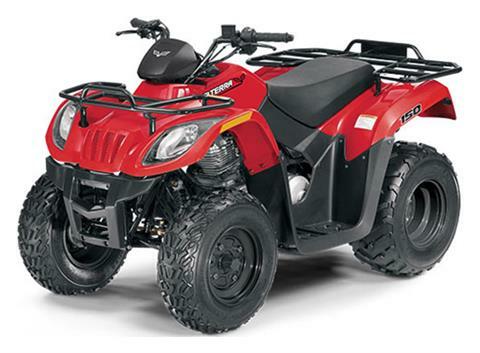 POWER: A 149cc 4-stroke engine gives advanced youth riders extra speed on the trail. SUSPENSION & HANDLING: Open up tougher trails with a fully independent front suspension and preload adjustable shocks. DRIVER EXPERIENCE: Digital gauge, Kenda Pathfinder tires & powder-coated steel wheels, front & rear steel racks, rear tow plate, adjustable speed limiter governor.